Income Tax Challenges For The Self-Employed | Mecklai Tax & Accounting Inc. When people choose self-employment, they are often attracted to the challenge and excitement of creating a business they are passionate about. They may look forward to a more flexible work schedule, or the possibility of earning more than they did as an employee. The one thing most people don’t get excited about is keeping track of all their expenses and planning for their income taxes. If you are self-employed, you need to be aware of a looming tax deadline. Sole proprietors have until June 15th to file (as do their spouses), but their balance owing is due as of April 30th. If you aren’t paid up by then, interest will be charged until you are. When your numbers are in order, then reach out to the CRA with a proposed plan to pay off your balance owing. Keep in mind that you’ll also need to save the money for the taxes you are incurring on your new income…it’s a classic case of between a rock and a hard spot but with careful planning and focus on generating your target income, it can be done! Procrastination in handling the financial side of your business can result in frustration, or even panic, as the tax deadline looms. 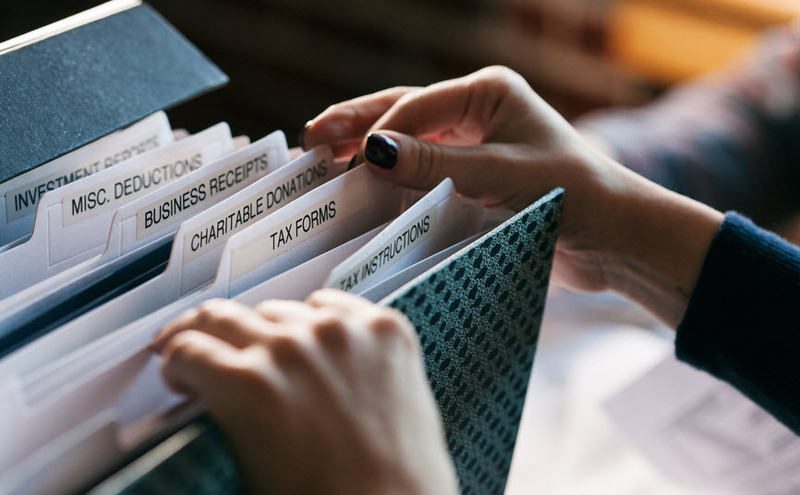 To help, I’ve outlined a few suggestions on what to do if you find yourself unprepared to file this year’s return and what you can do differently going forward. But first, let’s look at some of the challenges and pitfalls you may encounter as a small business owner. Your income may vary month-to-month making it difficult to estimate annual earnings and thus the appropriate tax rate. A varied income also makes it hard to create a cash flow plan. Even if you create a plan it can be difficult to honour it when cash flow is tight. Mixing personal expenses with business expenses. No clear sense of how much to set aside for income taxes. Falling behind and still trying to catch up on last year’s taxes owing. Missing the filing deadline and incurring penalties. Not using a bookkeeper or professional accountant to help with your tax preparation/filing. So what do you do if you find yourself unprepared for this year’s return? Set aside time to find and organize as many receipts as you can. If you don’t have a system of keeping receipts, now is a great time to create one so you will be well organized for next year’s taxes. (It can be as simple as keeping all business expense receipts in envelopes, one for each month of the year, or as fancy as a phone app to take a picture of each receipt, categorize them and upload a report to your bookkeeping software). You can use your business bank records and credit card statements to confirm you haven’t missed any big expenses, but remember that the CRA will need the original purchase receipt, a credit card slip alone will not be sufficient in an audit. Remember to include “business use of home” expenses, such as a portion of your rent/mortgage, utilities, home insurance, cleaning supplies. If you made any large purchases of equipment or furniture, these need to be identified as capital costs, so separate them into their own category. If you use your car for business you will need to determine how many kms you drove in total for the year, and how many km were for business use, then the same ratio of the expenses related to the car can be used as business expenses. If all that seems overwhelming, understand that the biggest step is creating the system, it gets much easier once the system is in place. You may want to consider getting help from an accountant, bookkeeper or money coach. If it turns out that you owe more than you can afford to pay, make sure you file anyway to avoid late filing fees. Then contact a tax services office to arrange a mutually acceptable payment plan. What can you do differently going forward? Forecast your estimated income and expenses for the year. It can be a challenge, but look at your earnings and expenses from last year and try to extrapolate going forward. Estimate your taxes owing: Once you know your net income (revenue – expenses) you can consult a tax professional, money coach, or use an online calculator to determine your estimated taxes owing. Set up a plan to save monthly towards your taxes. Either a set amount or a % of your revenues could work, as long as you do it! The CRA may require you to pay your taxes on a quarterly basis going forward, so it is vital that you have that money set aside, so you can avoid late payment interest charges. Be clear on your personal cash flow needs – figure out how much you need each month for business expenses, but also be conscious of how much you can afford to pay yourself from your business income. Pay yourself a regular pay from your business account to your personal account. This will help even out the ups-and-downs of being self-employed. Set-up a system to stay on top of your receipts, bookkeeping, tax payments, payments to yourself… etc. Avoiding the financial side of your business, at best, creates an energy drain, or at worst can place your self-employment dream in jeopardy. Once you have a plan and systems in place, you can reinvest that energy into the parts of your business that make you excited to get to work in the morning.